Often engineers struggle with selling the value of their ideas on solving problems. This can be compounded when the solution involves new digital technology, like embedded model predictive control (MPC). 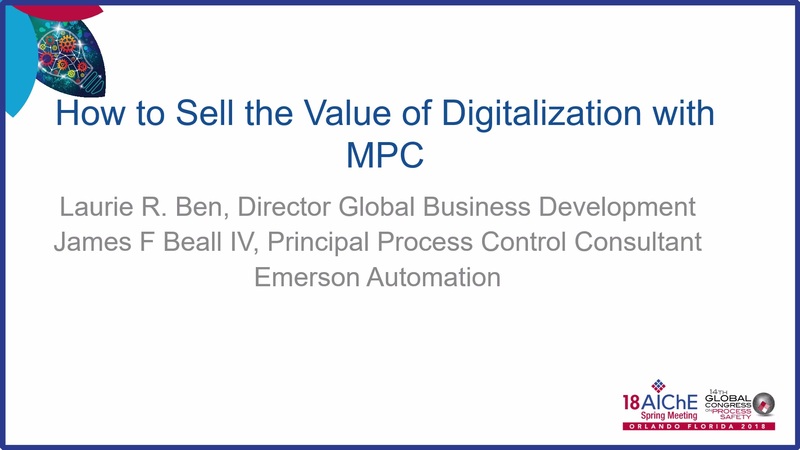 This presentation will focus on a real world example using new MPC technology and how to justify and sell the solution to management.